Finally a fine day!! I was starting to get a little concerned about getting any of Heshe’s clothes washed and dried before our due date. 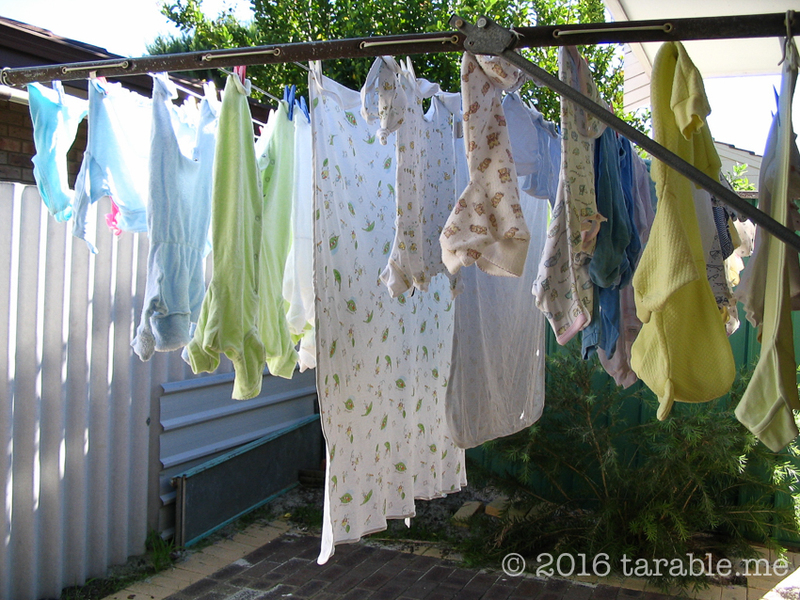 But today was forecast as a beauty and I started my washing last night – trusting the weather man’s predictions – living on the edge I know. The prediction was correct though, and I’ve managed to get most of the clothes washed and on the line. Just some coloured and delicate clothes, and the bedding to be done. I think we might make it. I also think I might be a born worrier.